Georgian style properties with their characteristic columned portico and triangular pediments and Regency style properties with their Gothic Revival styles covering the period 1700 to 1837 are beautiful periods of architectural elegance. 1st Associated Surveyors are experts in these styles of building and have surveyed many properties of these age, type and style over the years. or you could call us on 07584 066048 for further examples if you so wish. 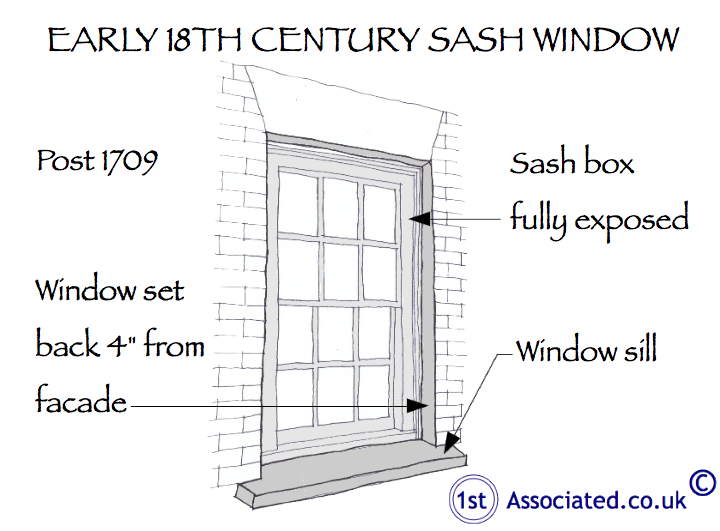 Our Georgian/Regency survey templates include many unique survey sketches appropriate to this Era of property including the adjacent sliding sash window sketch. Call us or email for more hand drawn sketch examples.